For the duration of the festival Sluzbeni glasnik bookshops will have 30% discount on selected art editions. Impressionism was born in a famous photographer’s studio who allowed young painters, gathered in the association, to expose their works. The connection between impressionism and photography has remained inseparable from this first exhibition to the present time. The language of photography and painting is very similar and they have been influencing each other for more than one century. 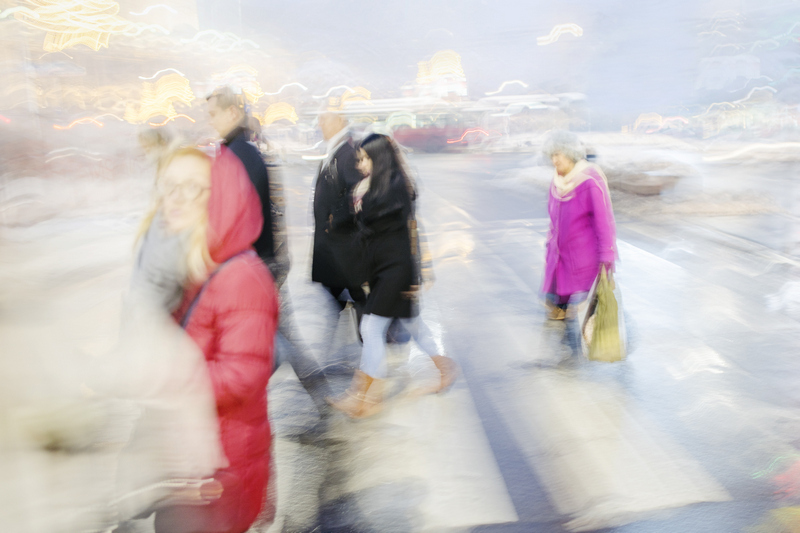 The series of photos I’m working on is an experiment and it’s inspired by Impressionism and impressionists, the founders of modern art, continuing the inextricable link between painting and photography. Pophor Krsmanac will be part of the exhibition Opening. On Friday 30.3 Mitar Mitrović will be in the gallery doing Guided Visit and talking about his project. We are very proud to announce our cooperation with Transeurope Photo, and during Belgrade Photo Month, on 10th of April, in Dom Omladine, art historian and independent curator, expert of contemporary photography Christine Ollier will lead a session on the development of a photographic project, from its inception until final production. Inscriptions already open, limited places! March… Saint Patrick, green, Irish Festival! This year, we have the pleasure to cooperate with Belgrade Irish Festival in various photography events that will be part of the Festival, an open call is just to be released. Free entre fees, prizes, exhibition…..co click the link and participate! 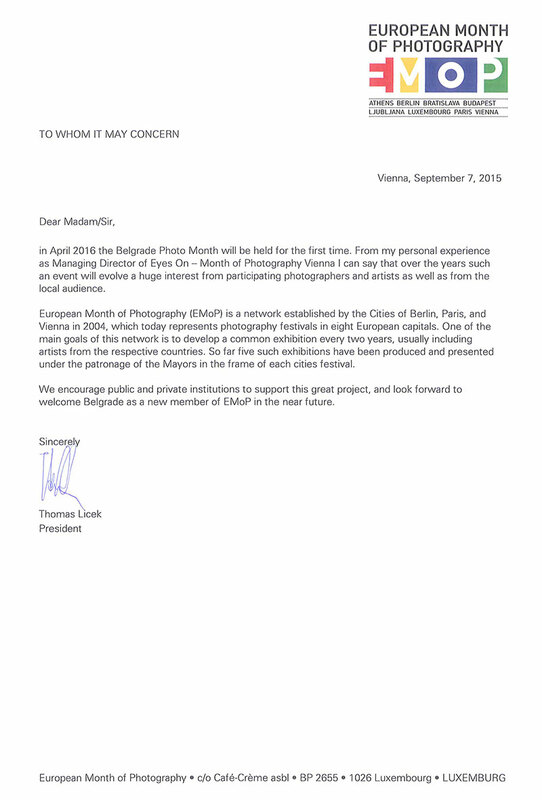 President of the European Month of Photography (EMoP) Thomas Licek has sent us a letter of support in which he points to increasing interest for this kind of projects and invites public and institutions to support Belgrade Photo Month, so it might become the part of the European Month of Photography growing network in the near future.